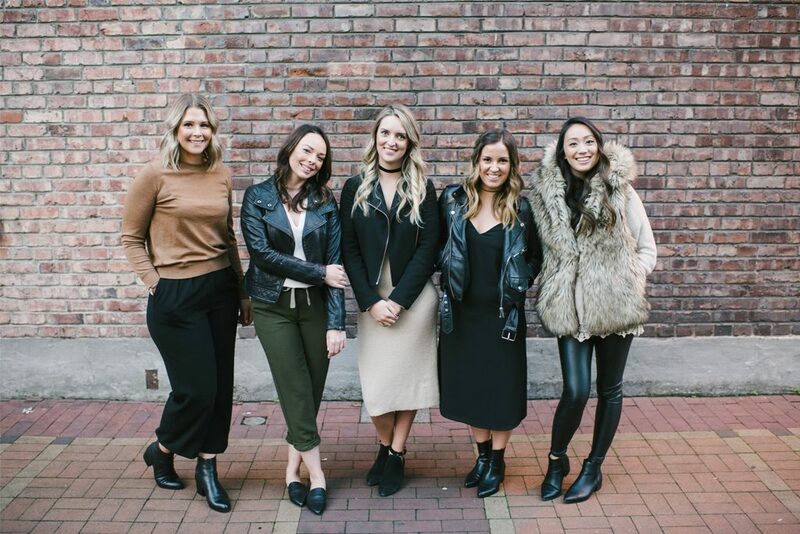 Founded by Amanda Haines in 2012, Reformation crafts powerful digital public relations strategies for modern lifestyle brands across Canada and the United States, seamlessly integrating media + influencer relations, content creation, social community management, and digital marketing to tell stories with purpose. Their focus on developing “irresistible brand stories and influencing with integrity,” a skill and value-set that resonated big time with our BCA judges. The Digital/Social Team of the Year award recognizes communication agencies and in-house communication teams that have successfully honed in on the true art of building strong consumer relationships in the digital space. How does it feel to win Digital/Social Team of the Year? How is your team going to celebrate? Totally exhilarating! This is the first time in the five-year history of our agency that we’ve applied for an awards program – so to win on our very first outing, we feel so lucky. It’s incredibly exciting and gratifying to have our work recognized by our peers. We celebrated our win with happy hour drinks, and with our annual Reformation Retreat in the Okanagan Valley (our local wine country! ), including a gorgeous lakefront cottage, a wine tour, a zipline adventure, and plenty of fun – think Cards Against Humanity, pool time, and watching The Bachelorette. What’s a digital client win you can share that illustrates your team’s approach? A local, grassroots fashion brand with only one collection under its belt, Smash + Tess launched its Fall/Winter 2016 collection in October 2016. The ultimate goal was to get pieces from the collection in the right hands – we were confident that once targeted digital influencers saw the pieces, felt the fabrics, and tried them on, they would be hooked – and share it with their followers. We knocked it out of the park when we delivered Smash + Tess’ signature Fall/Winter 2016 piece, the Sunday Romper, to Canadian blogger, HGTV Canada star, and former Bachelorette, Jillian Harris. Jillian posted multiple times on Snapchat and Instagram Stories, which we in turn reposted on Instagram @smashtess and other channels. She then included the item in her holiday gift guide on JillianHarris.com. Web traffic spiked in alignment with both initiatives and the piece sold out. It was then released in a second color, which sold out twice. The company then released the Sunday Romper in a new, third color, called Jillian Grey. The result of the ongoing promotion was a 106.5% increase in Smash + Tess’ Instagram following, and the 634 sales from late October through December 2016. What is your team most excited about right now? Everything is evolving at lightning speed in our industry. At the moment, we’re really focused on visual content creation. The images we create for our clients are better than ever and we’re looking to add video to our service offering – we can’t wait to see where that takes us. We’re also looking at how we can expand our work with influencers and hope to unveil some new service offerings at Reformation later this year. We celebrated our win with happy hour drinks, and with our annual Reformation Retreat in the Okanagan Valley (our local wine country! ), including a gorgeous lakefront cottage, a wine tour, a zipline adventure, and plenty of fun – think Cards Against Humanity, pool time, and watching The Bachelorette. How do you make sure digital/social team drives and helps amplify PR efforts? Content is king. At Reformation, we are always exploring how we can make written content go farther. For example, if we write a press release, can we rework it into a blog post? An email blast? Can we pull out content for social posts? Do we have solid, on-brand, multi-purpose imagery? We work all the angles, and we don’t split our team into either ‘PR’ or ‘digital’ specialists. Today’s PR landscape IS digital. Our account leads manage both sides of the spectrum, which is where the magic of integration happens. They work hard to tell a story using as many media as they can, to amplify their clients’ messages to the right audiences. That’s what Reformation is all about. What is your team focusing on most during the rest of 2017? Goal-setting, both professionally and personally. Our team identified it as an area that they’d like to focus on last summer, so this year we’ve done a workshop with a business coach, and we’re using monthly goal-setting planners to set our sights on big things. We recently set our business goals for 2018 at our annual Reformation Retreat, so now the big task is to ensure we stay focused on those goals and carry them over the finish line. If we looked inside your purse/work bag right now, what PR survival must-haves would we find? NARS Radiant Creamy Concealer to cover those under-eye circles from late nights at events and early mornings on-camera, mints for those post-coffee meetings, iPhone 7+ for taking incredible images (it even has a portrait lens! ), Powersheets Make It Happen Goal Planner, and wedding magazines (for when I need to escape from the craziness, if only for a minute!). Our team is growing! We currently have a team of seven and we’re interviewing to fill 2-3 more positions before the year is though. Never in my wildest dreams did I think we would have a team of 10 at Reformation, but we’re almost there. It’s completely crazy – in a good way.